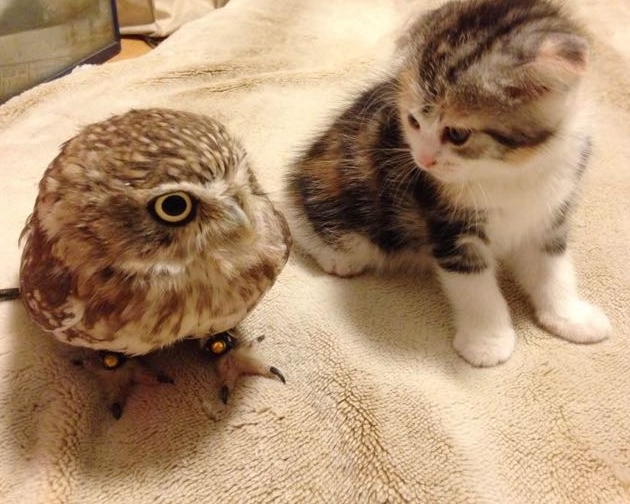 A little kitten and an owl have become good friends at a Japanese cafe. 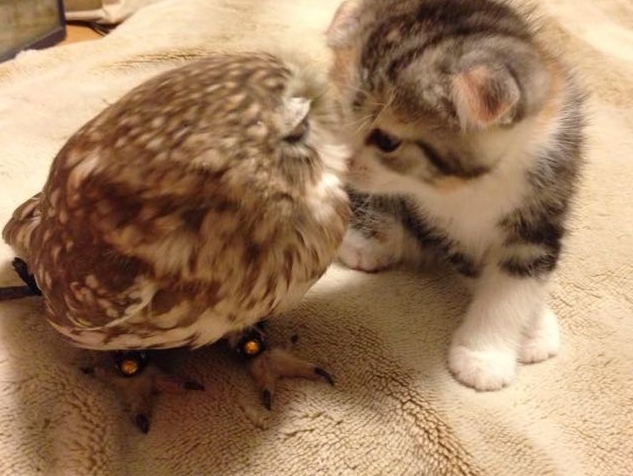 Prepare to get your heart melted! 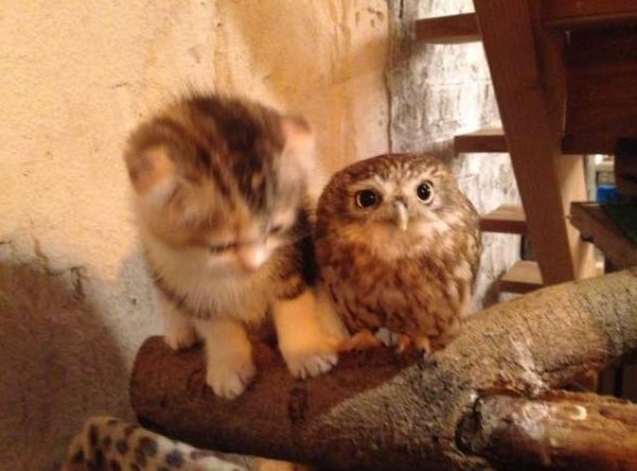 Kittens and owlets are some of the cutest animal babies on earth, put them together and they become what has to be one of the most adorable pairs of best friends you’ve ever seen. It may be hard to believe but these two super cute creatures love to hang out, play together and even cuddle up and nap together. 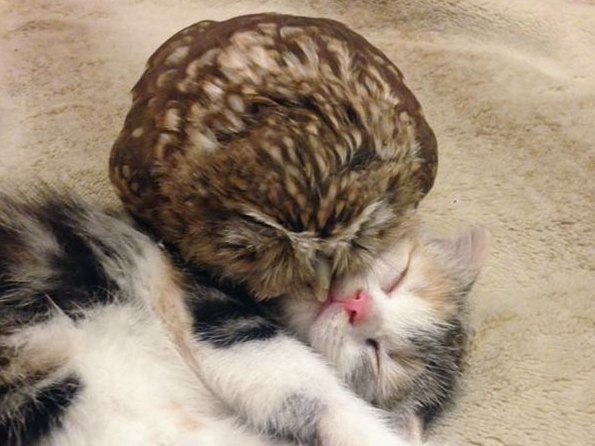 It sounds like a children’s tale, but these adorable friends, Fuku-chan the owlet and Marimo the kitten are the stars of the Hukulou coffee shop in Osaka, Japan. 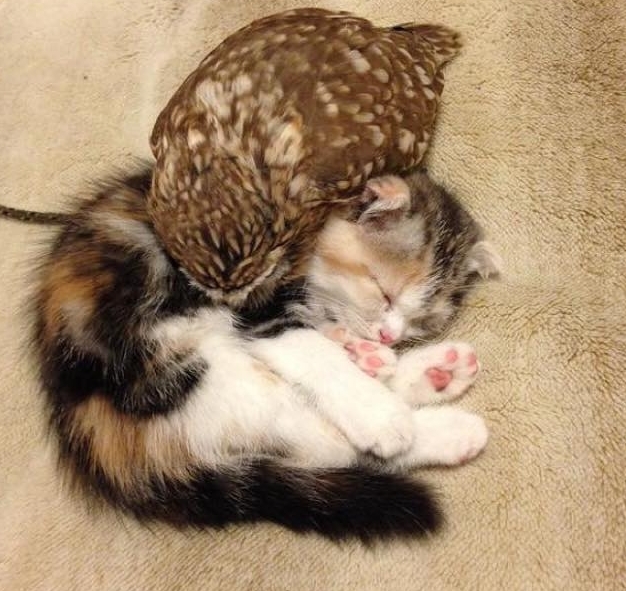 Fuku-chan is one of the several owls that reside at the cafe. Marimo, is a beautiful Scottish Fold kitten, and a more recent addition. 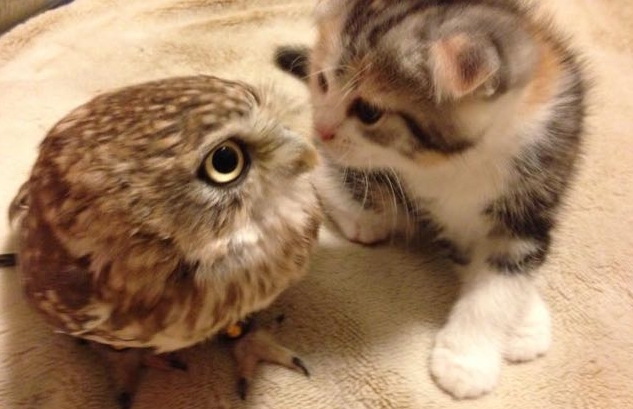 When the two met, they quickly bonded. The cafe occasionally gets other owl visitors as well, and it also sells fun owl-themed crafts and good, but these two generally steal the show. 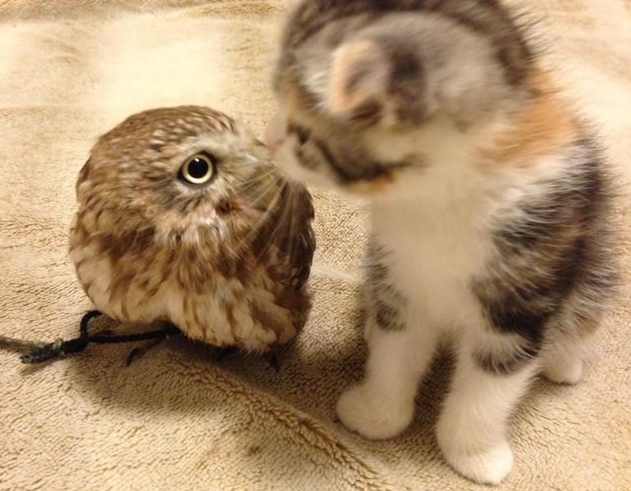 They even like to give nose kisses before settling in to cozy up together for a good nap. 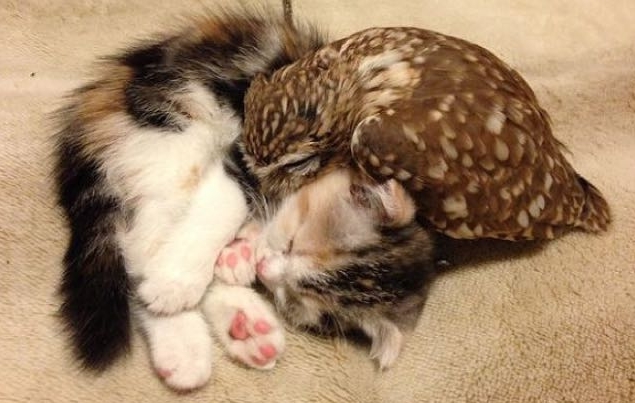 Responses to "Kitten And Owlet Become Best Friends And Nap Buddies (Photos)"